If you have well water, you’re not alone. Over 13 million Americans use private wells as their source of drinking water. Households that use private wells are responsible for the safety of their own water. What does it mean to have well water in your home? Well water comes up straight from the ground directly into your home; essentially, it is not treated. Untreated water has a higher abundance of minerals than treated tap water. All these minerals often affect the taste of your water. Although the minerals are safe for consumption, they can cause other problems in the home. One such problem of hard water is that it keeps soap from dissolving properly. A telltale sign of this is that you feel a film on your body when you step out of the shower. Soap buildup can also clog drains. A water softener can filter out those pesky minerals, keeping your body and drains soap free. Contamination is also a common issue in well water. From microorganisms such as bacteria and viruses to dissolved solids, these contaminants can cause some serious health issues, such as gastrointestinal illness. Water softeners can help with the minerals in well water. Contaminated water, however, takes more intense intervention. Many people wonder if you use a water softener with well water, The answer is yes–yes you can. Water softeners help to filter out minerals, such as magnesium and calcium. Removal of these minerals turns your water from “hard” to “soft”. You’ll notice a big change in the look and feel of laundry and dishes. You’ll also be saving money on soaps and detergents, because soft water requires much less of each. Water softeners can even make your water taste better by filtering out the minerals. What about the microorganisms? First, test the water and see if it is contaminated with microorganisms. This simple test only costs $30, and results usually come in about a week or two after the water sampling. 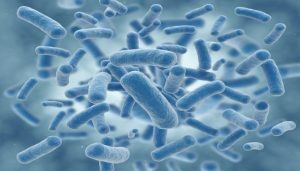 You should test for microorganisms once a year, or when you repair any part of the plumbing system, move into a new home, drill a new well, or if members of your household have reoccurring gastrointestinal illness. If your well water does test positive for microorganisms, you should immediately disinfect the water with chlorine bleach. After shock chlorinating the water, wait one to two weeks in order to retest the well water for microorganisms. Another, perhaps even easier, way to make your well water safe for consumption is to distill it yourself. 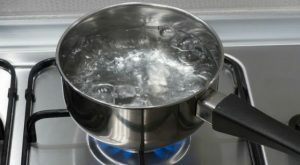 Essentially, this means boiling your well water before using it for cooking or drinking. Distilling the water is an easy way to make sure your well water is clean and safe for use. You do not have to distill the water for bathing, however. Overall, if you have well water, taking care of it is not as hard as you might think. Well water is easy to take care of, as long as you take some precautions. Use a water softener with your well water to prevent hard water damage to your body and your pipes. Test your water regularly for microorganisms and other contaminants. Know to shock chlorinate the water. Also, be sure to boil you well water before drinking or cooking with it. Give us a call for all your well-water needs! 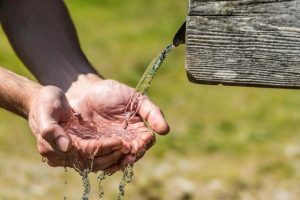 Whether you have a well or are thinking about putting in a well, Knoxville Water Treatment can help with all your questions and well-water needs. Give us a call today! If you’ve been experiencing any of these problems, there could be a connection. These could all be signs that you need a water softener system. What is hard water and how does it affect me? This is a common question. Most households in the USA run on hard water supplies, meaning their water has fairly concentrated amounts of magnesium and calcium. The excess amount of these minerals in your water can lead to pesky problems. What kind of problems? Glad you asked. Problems like spots on the dishes and faded color on laundry. 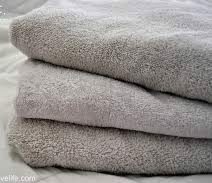 Hard water also causes stiff, scratchy towels, itchy skin, and even dull hair. The excess minerals in the water even counteract the effectiveness of soaps. The result: more soap and detergent and shampoo required to clean. 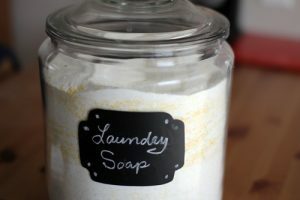 Unfortunately, more soap doesn’t effectively deal with the hard water problem which means you still end up with dirty, dingy-looking dishes, clothes, and people. They also cause scaling–residual deposits of calcium and magnesium on your sink, tub, and toilet. Even your dishes look dingy and spotted when rinsed with hard water. Ugly as it is, the scaling deposits you see are the least of your problems. The more troublesome and potentially costly issue is the damage they cause to your home’s plumbing. 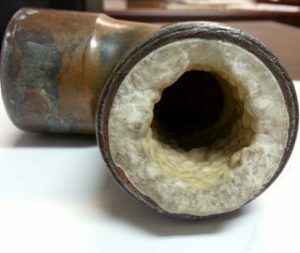 Excess magnesium and calcium can build up deposits inside the plumbing of your house and cause major problems if left untreated. As every homeowner knows, plumbing repairs don’t come cheap. So, what is a Water Softener and how can it help? A water softener is a device or system that removes the excess minerals (mostly magnesium and calcium) and other impurities from hard water Having a water softening system in your home not only leaves your dishes looking spotless, but also dramatically extends the life of your plumbing, your boiler, your water heater tank, your dishwasher, your washing machine, and any other water-using appliances. There are several types of water softeners on the market. The trick is finding which one will best suit your specific household needs. 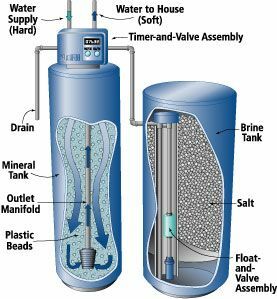 Although a basic ion exchange system is most common, a salt-free water softener might work better for someone who needs to cut down on sodium. Other types of systems available include: a magnetic/ anti-scale system or a reverse osmosis system. Each individual water softening system brings something different to the table. Think about it. You really can’t go wrong investing in a water softening system. No more dirty-looking, grimy-looking, splotchy dishes. No more faded, rough, itchy clothes. Certainly, no more irritated, dry skin or dull hair. Last, but definitely not the least beneficial– remember soft water also increases the life expectancy of your plumbing and water-using appliances. OK. I’m sold. Now what? As mentioned above, each water softening system works differently. Be sure to do the research before purchasing. You want to make sure your investment is right for you and your family. Remember, the variety of systems available means that there is a water softener for everyone’s needs. All it takes is a little time and research to find the perfect one. Don’t get discouraged if the perfect one isn’t found immediately. The water softener professionals here at Knoxville Water Treatment know just how to help you narrow down the choices and get the type and model of system that will meet your family’s unique needs. Not only can we help you find the right system, we’ll even install it for you.